Artie G. Giotes joined the firm in January, 1977. Artie received his Bachelor of Business Administration degree from Baylor University in 1963 and his Juris Doctor degree from Baylor University School of Law in 1965. He was a member of the Texas Board of Law Examiners from 1980 through 1997. Artie has served as President of the Waco-McLennan County Bar Association. He serves as an Adjunct Professor at Baylor Law School. 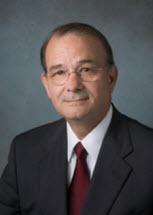 He is Board Certified by the Texas Board of Legal Specialization in Estate Planning and Probate Law. He is also a member of the College of the State Bar of Texas and is a Fellow of the Texas Bar Foundation. His primary areas of practice include Estate Planning, Litigation in State and Federal Courts, Business and Commercial Matters, Real Estate Law and Probate Law.